Although not immediately obvious by the forested landscapes known today, Michigan’s history is one of expansive barrens and frequent fires. Many grassland and barren species adapted to this cycle of burnings, one of which is the fire dependant jack pine tree. Heat is necessary to the lifecycle of the jack pine, as it promotes the trees cones to fully open and successfully germinate. With the suppression of fire, young stands of jack pine become less and less common and old stands grow dense and tall, losing their lower branches due to lack of sunlight. 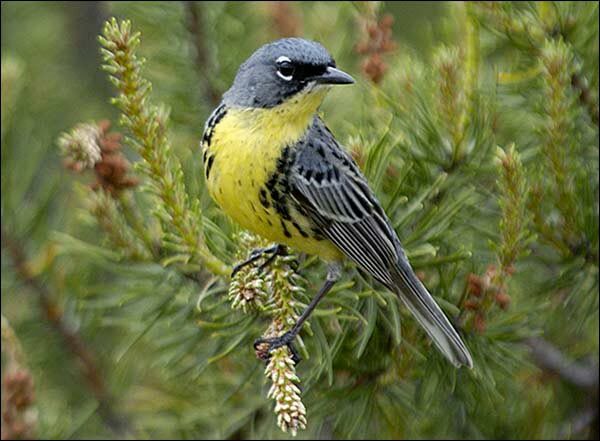 The degradation and succession of the jack pine ecosystem reasonably follows this lack of fire, but what was not suspected was the subsequent decline in the Kirtland warbler population.